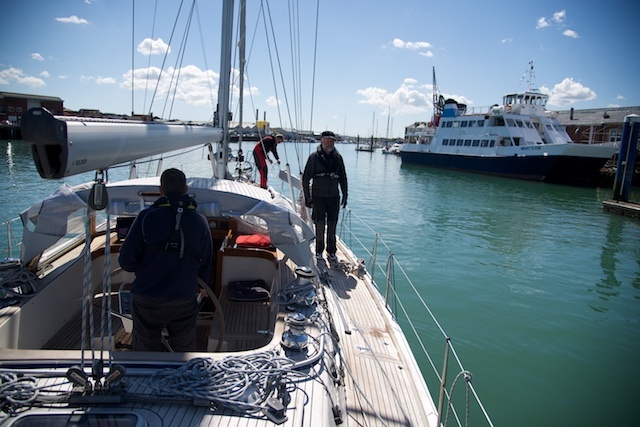 A typical Yachtmaster Prep course onboard Regina Laska takes two weeks, including the two days exam in The Solent on the south coast of England. My experience has shown that the learning is so much greater if enough time is granted for each individual subject: Not only are you becoming very well prepared for the actual exam, but, at the same time, you are building your own competence, both theoretically and practically (e.g. 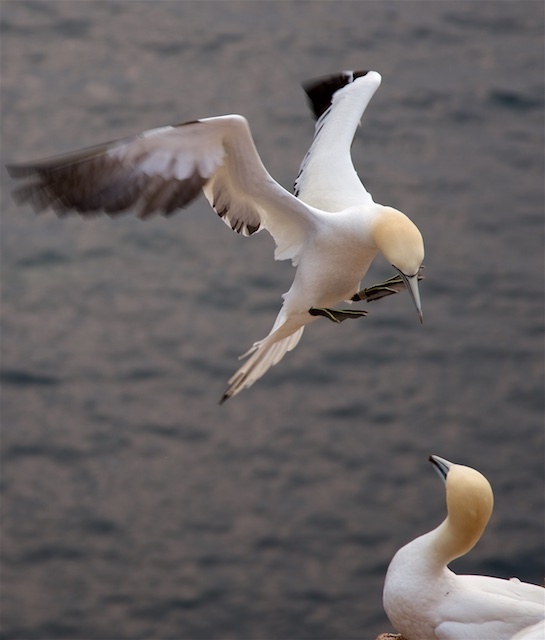 manoeuvres). 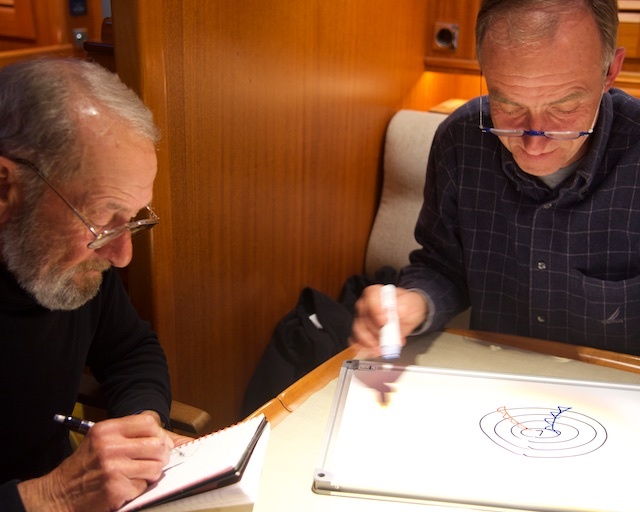 Skipper training forms an important part onboard Regina Laska’s Yachtmaster Prep course. 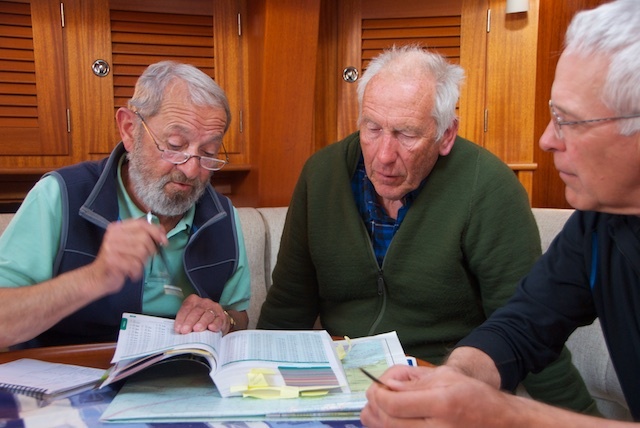 There is no RYA standard curriculum for the Yachtmaster Prep Course. 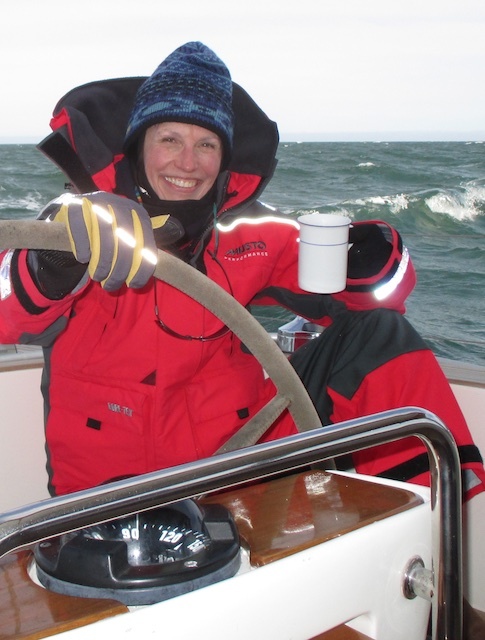 Contrary to other Prep Courses on the market, my prime goal with Regina-Sailing is not only to pass you through the exam, but to give my students the chance to become better seamen and –women with an emphasis on skippering a yacht. It is no co-incidence that my Prep Course takes place in tidal waters in an area with shifting and interesting weather, heavy traffic and loads of lights and buoys, giving countless possibilities to practice night navigation, blind navigation, ColReg’s, anchoring, Man Overboard and berthing manoeuvres in a huge variety of conditions. Practicing to take decisions and to communicate these to the crew are key. 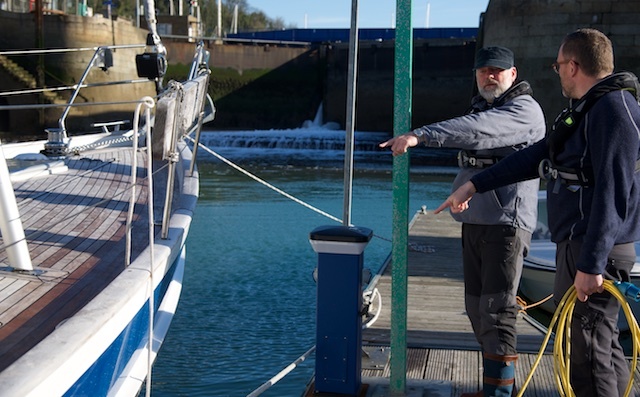 Stig and Tobias discussing casting off in Dover. Who is the skipper and who is crew? 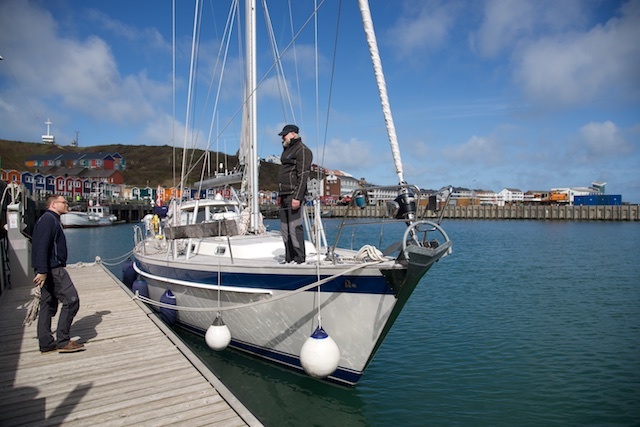 The maximum number of students is four rather than the RYA-standard of five-to-one tuition. 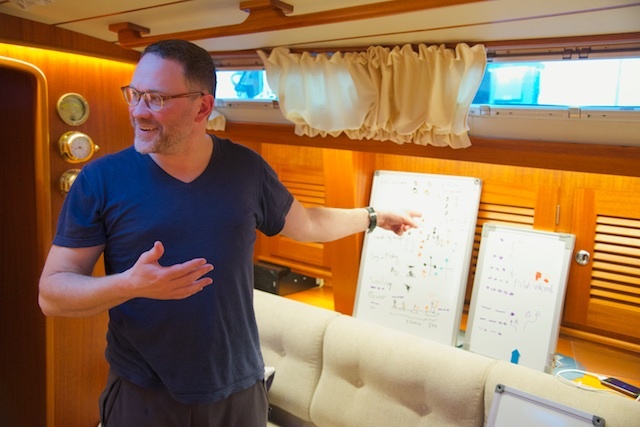 With so few students onboard and two weeks time, the course is very exclusive and it goes without saying that I have the possibility to be utmost custom oriented, covering the subjects and topics that are important and essential for each individual student. 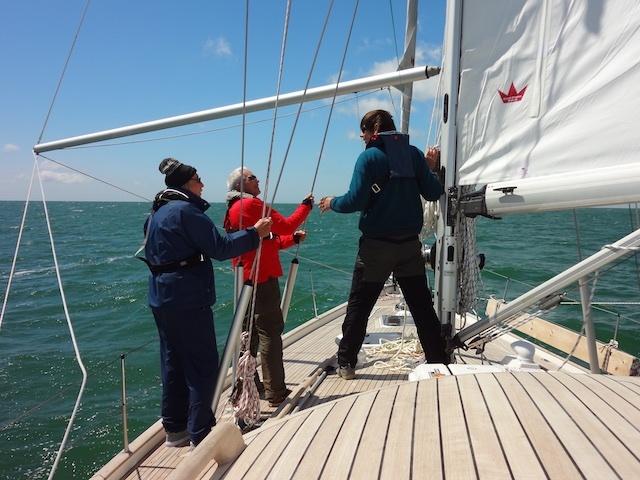 During the two weeks, we can also jointly agree on whether you should opt for the tougher RYA Yachtmaster Offshore, or the identical, but more relaxed RYA Yachtmaster Coastal exam. 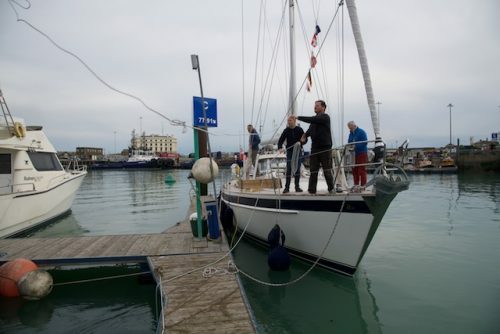 This all depends on the students’ experience (tidal miles, days at sea as skipper etc) and the skill of the students. 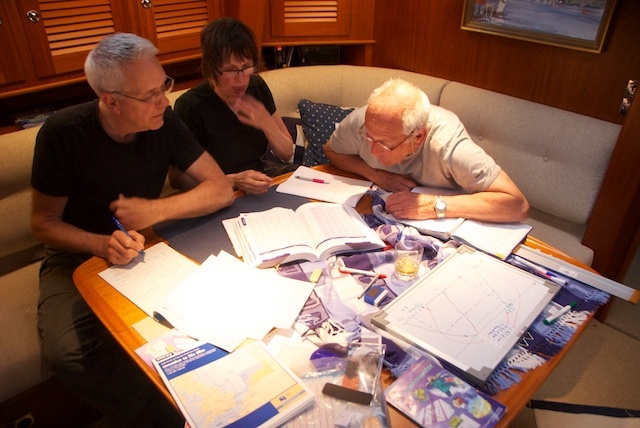 As an extra bonus, the 600 miles covered during the Yachtmaster Prep Course onboard Regina Laska (including three passages over 60 miles) may be added to your log book in connection with the exam. 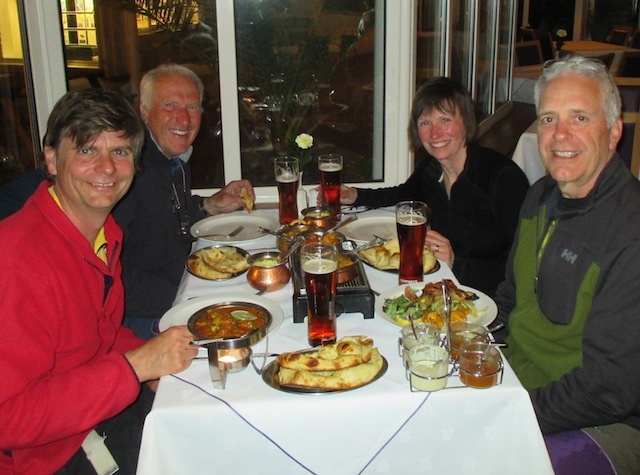 Typically, we start the Yachtmaster Prep Course in Cuxhaven, which is easily accessible outside Hamburg, Germany. 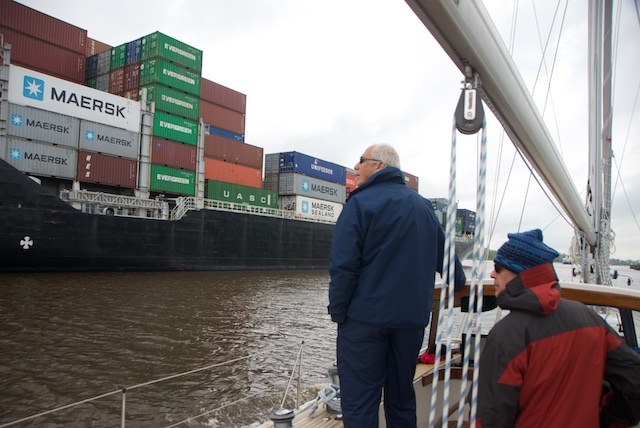 The detailed safety check made on the first day is also a typical example of what is being asked for by the examiner, so the students pay great attention from the very first moment onboard. 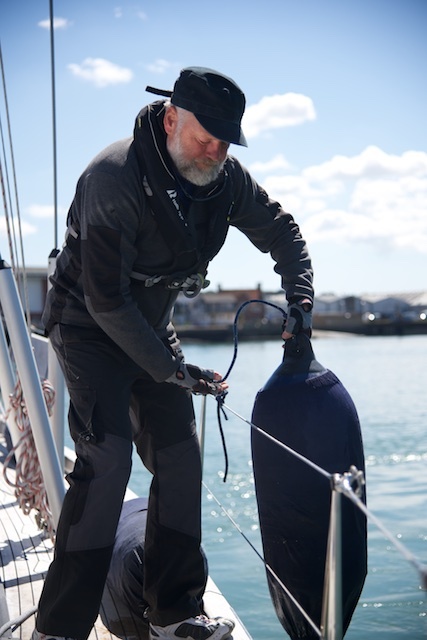 We talk about all the safety equipment onboard Regina Laska and how it is being used, by far surpassing a standard teaching boat. 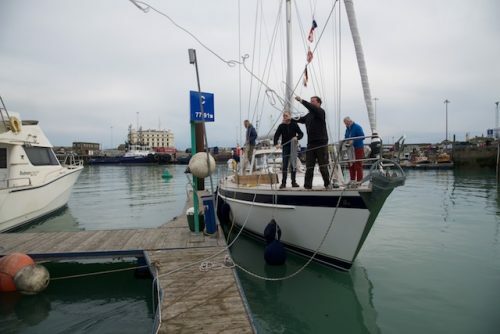 Depending on the weather we either sail directly to Dunkerque in France, or, should we encounter heavy westerly winds, we sail to Helgoland and make possible stops in various harbours in Holland. 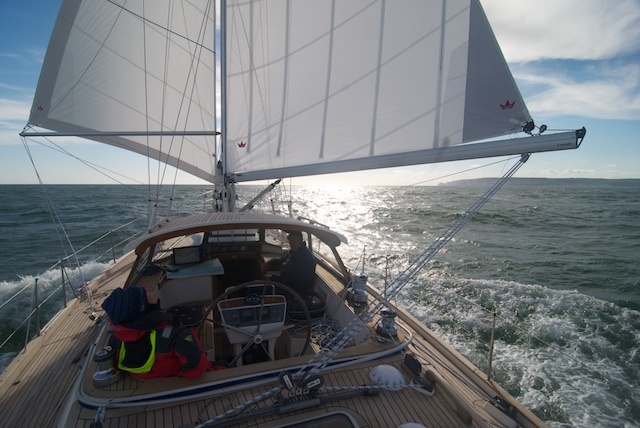 On the way, we often have a good possibility to practice heaving-to in real sea- and wind conditions, something hardly possibly if sail training is only done in sheltered waters or in the Mediterranean. For many students, the trick how to heave-to is a real eye-opener. 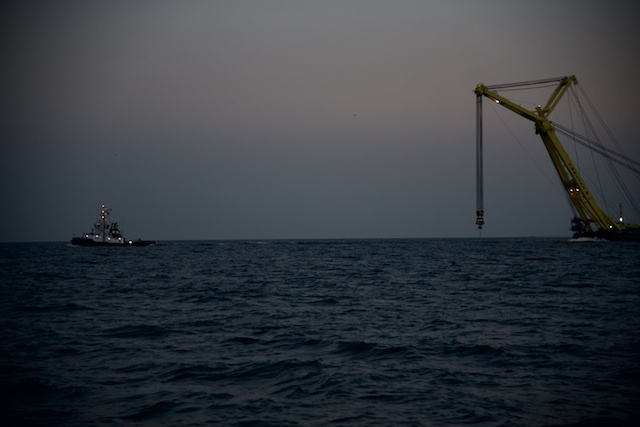 It is impressive how well it works, even – or especially – in high seas and gale-force winds, if you know how. 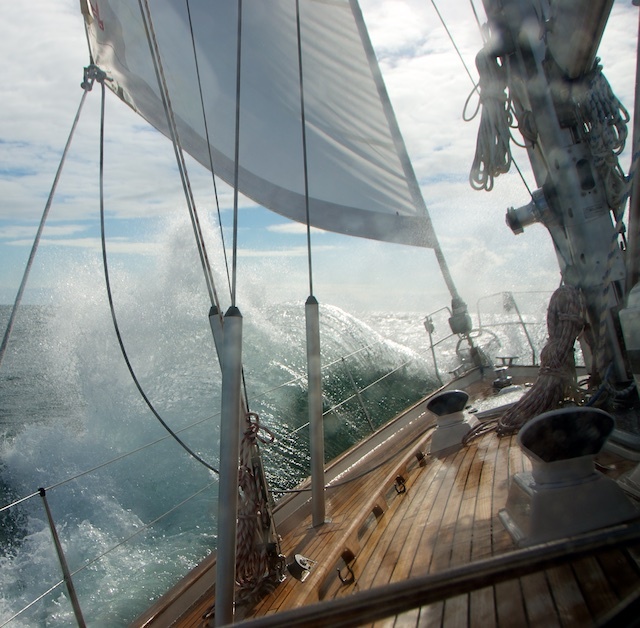 Stronger winds on the North Sea. Time to practice heaving-to as a storm tactic? 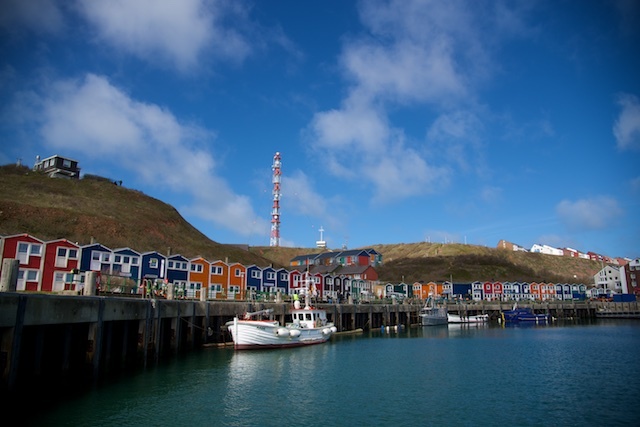 Helgoland off season in April. 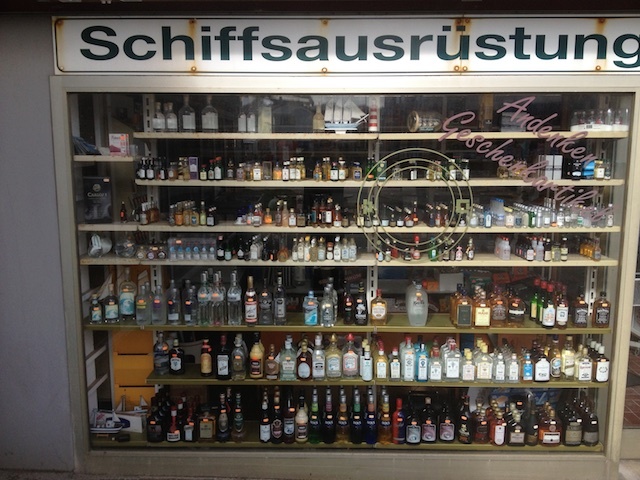 One can just imagine how this place looks in summer! 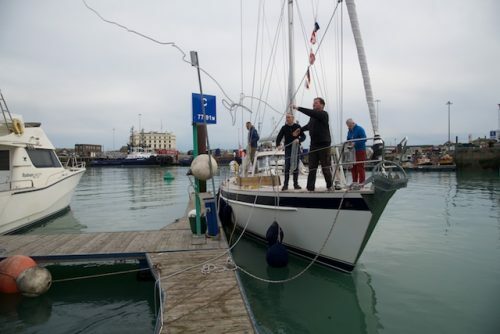 Practicing lassoing in Dover as a great mean to moor with the wind blowing off the dock. 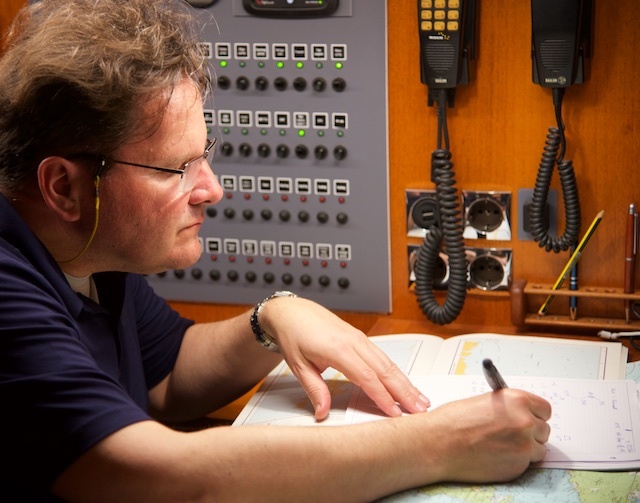 If weather is tough or unpleasant, we use the days in harbour for extensive theory sessions, which also forms part of the exam. 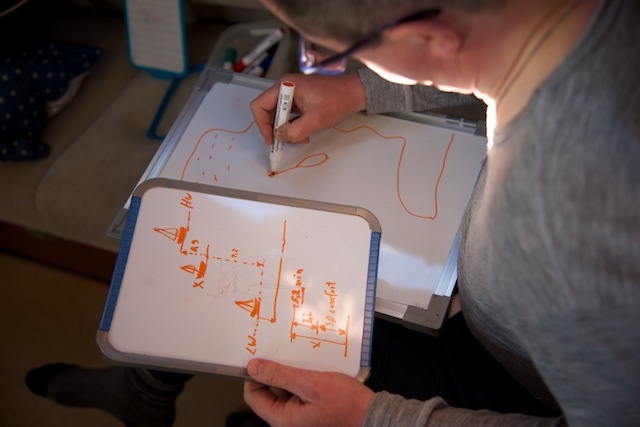 Of course, if you have joined a Yachtmaster Theory Course in Malta before your join the Yachtmaster Prep Course, it helps a lot and less time has to be spent on theory. In any case, it is essential that students come well prepared to the course and know all ColRegs by heart before boarding Regina Laska (which is not always the case, hint-hint…!). 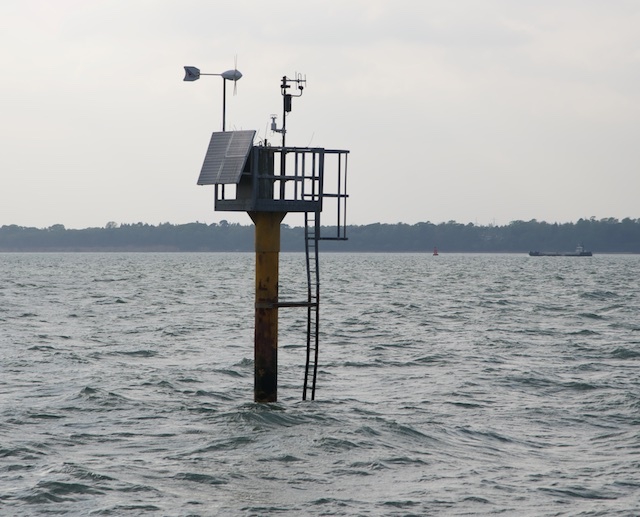 Yes, there is a lot of theory to cover, ranging from tidal calculations to weather, safety and passage planning. 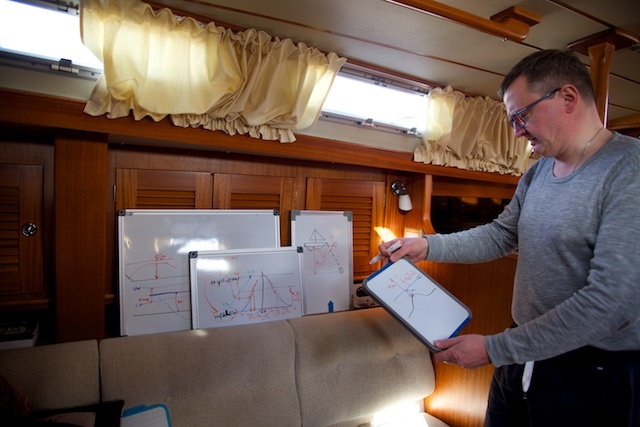 Artur trying to understand how the tides effect the choice of anchoring depth. 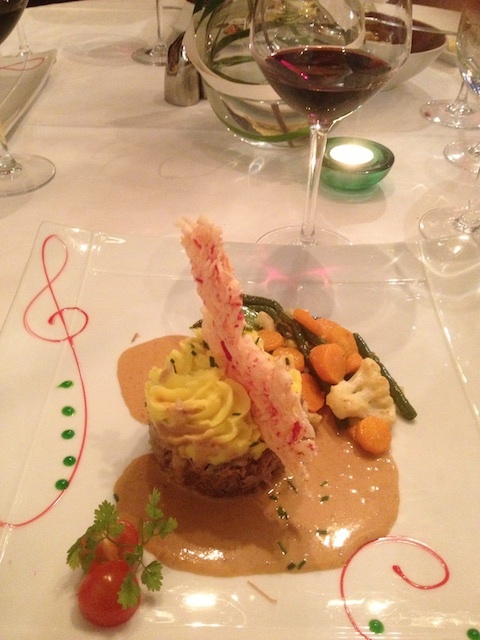 The atmosphere is always friendly and with a lot of patience no question is left out. 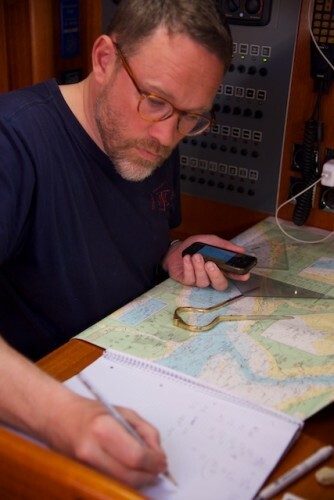 Michael working on the passage plan for the forthcoming day crossing the English Channel. 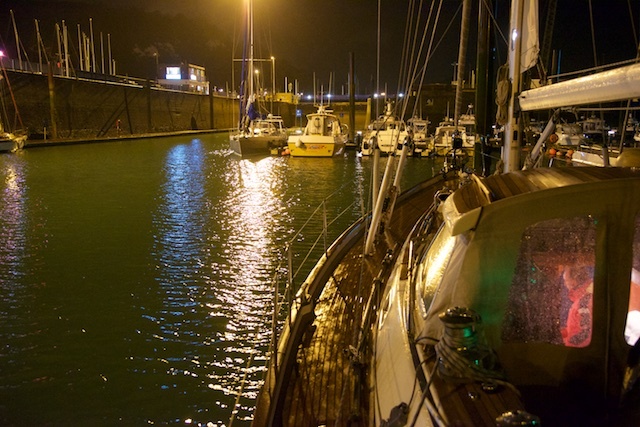 As soon as weather permits we set off on the 350 miles long passage to Dunkerque, including two overnight passages. 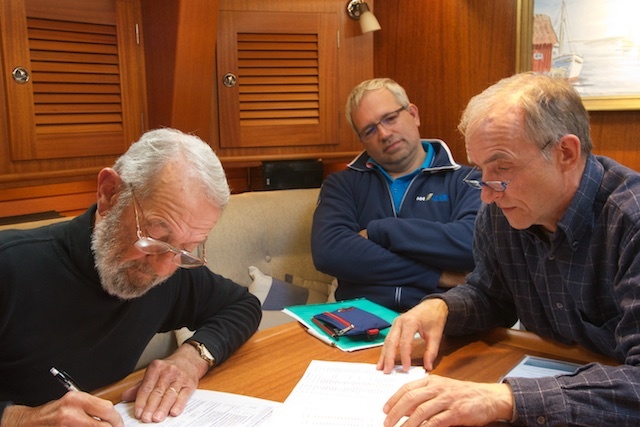 From Dunkerque the actual Yachtmaster course continues since the following three legs are perfect to practice passage planning. Each students picks a leg of his desire to prepare for his exam, e.g. 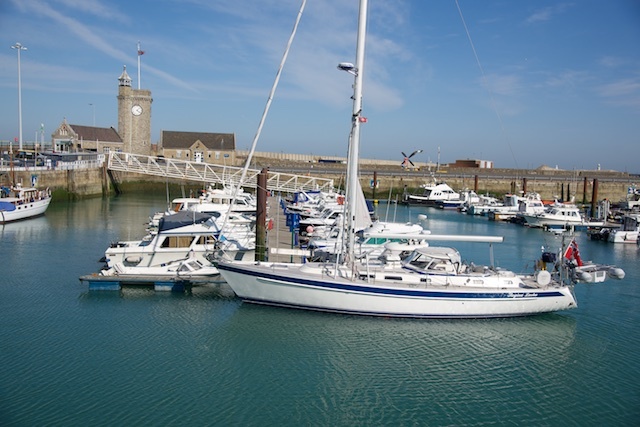 Dunkerque – Dover, Dover – Souvereign Harbour or Souvereign Harbour – Portsmouth. Each of these has a tidal gate and is over 60 miles. One of them also has a Traffic Separation Zone to take into consideration. Sometimes size seems to matter more than ColRegs, or does this ship have a cylinder hoisted? 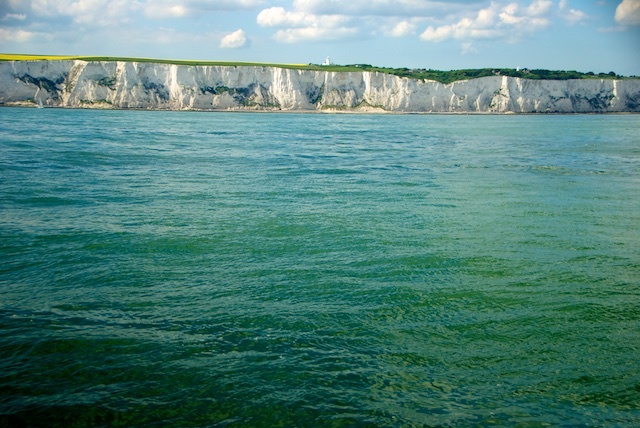 Once in The Solent, we have several valuable days to practice what is being requested by the examiner in the very waters of the exam. 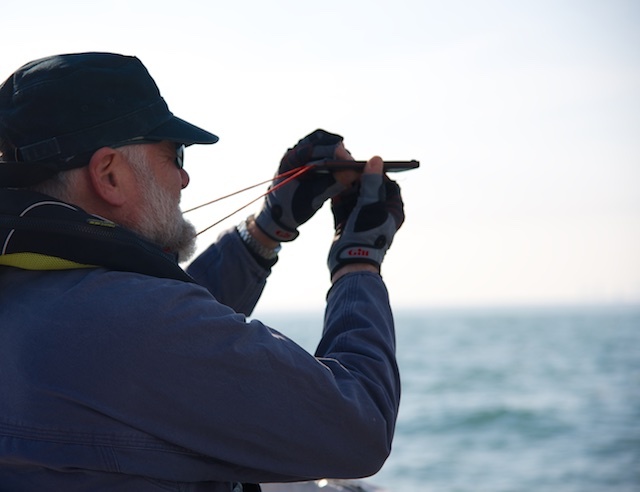 During the intense days, we practice anchoring, harbour manoeuvres in tidal waters, ferry gliding, picking up a mooring buoy under power and sail, man-overboard under power and sail, finding unlit marks in the dark during night navigation, blind-navigation with just traditional instruments and study all the theory that is necessary. After these days, I can promise that CTS (course-to-steer) and EP (estimated positions) can be plotted in no time and deviation and variation comes as natural as the beer in the pub at night. Colregs the real way by watching the navlights by night. 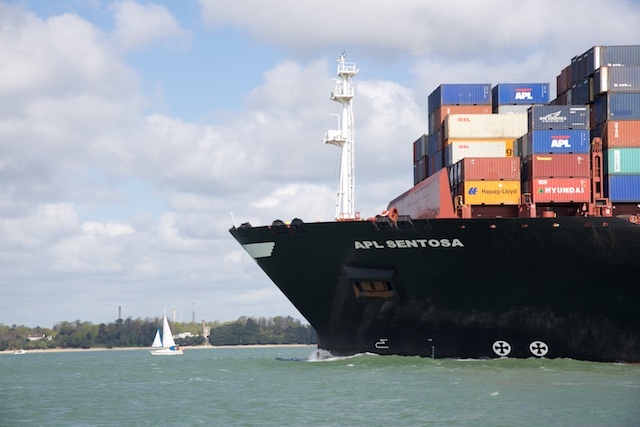 Here: Tug restricted in manoeuvrability with a tow over 200m, while the tug itself is under 50m. Would you have known that? 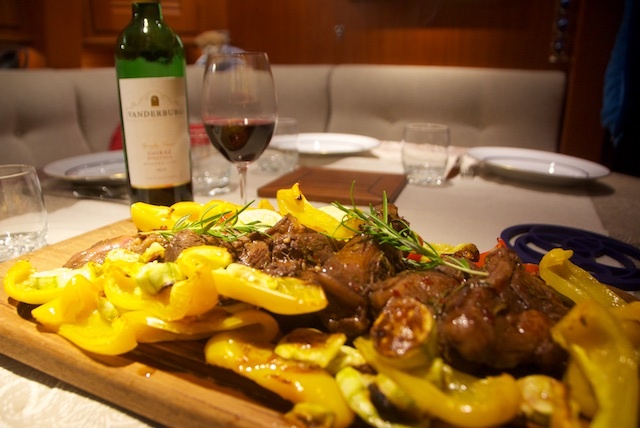 During the sail training, food plays an important roll onboard, be it in a restaurant or when the students and skipper compete in the galley for a fantastic meal. 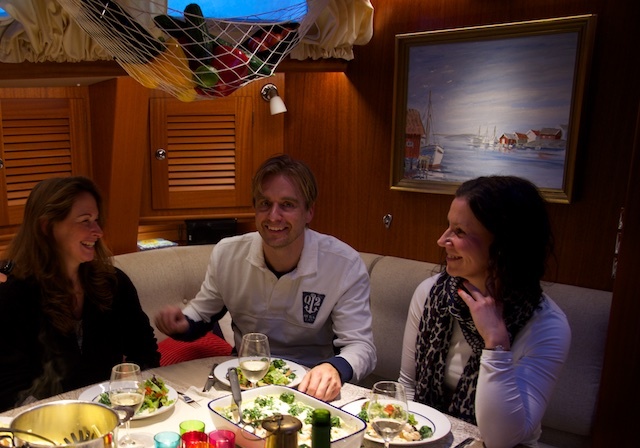 To me it is an important aspect of cruising, since sailing is also a lot about living onboard having a pleasant time together. 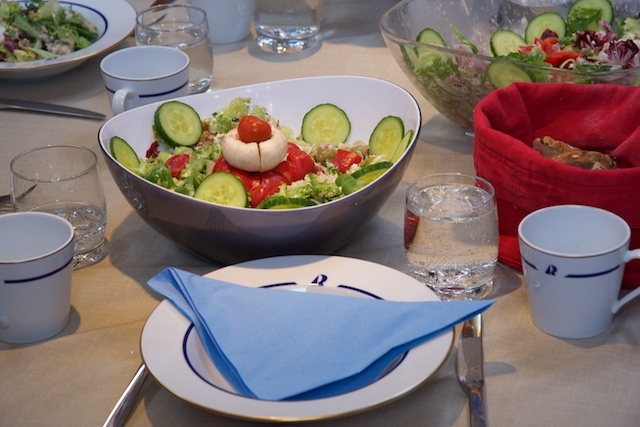 During the meals, we continue to talk not only about sailing and boats but also other interesting conversations follow after an intense sailing day. Me explaining the principles of “intercept”, which I call “finding the treasure”. By mastering this technique it becomes a simple task to find a spot on the chart by taking bearings alone. Stig trying out the electronic fluxgate hand bearing compass. 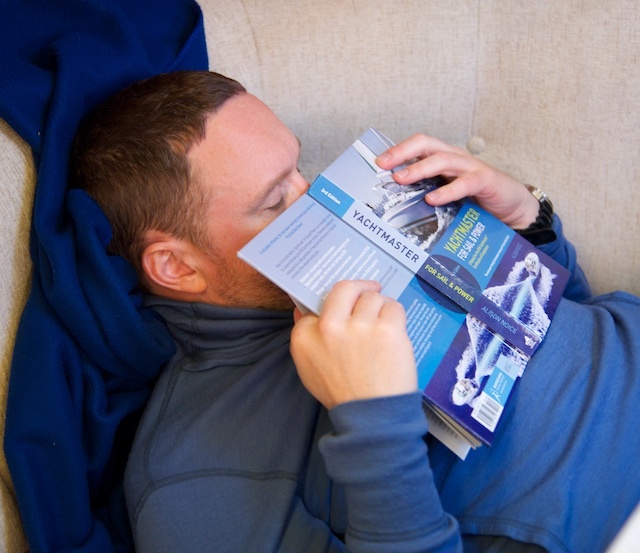 Sometimes, studying ColRegs is just not that exciting… I have sympathy, no doubt! What is this? Yachtmasters from The Solent know this better than anyone else, but possibly only as a faint black shadow on a moonless night. This is how the famous unlit Bramble Post looks in day-time! We usually go out eating with the examiner on the night before the exam, getting to know each other and Allan, our examiner, can take the worries out of the students. 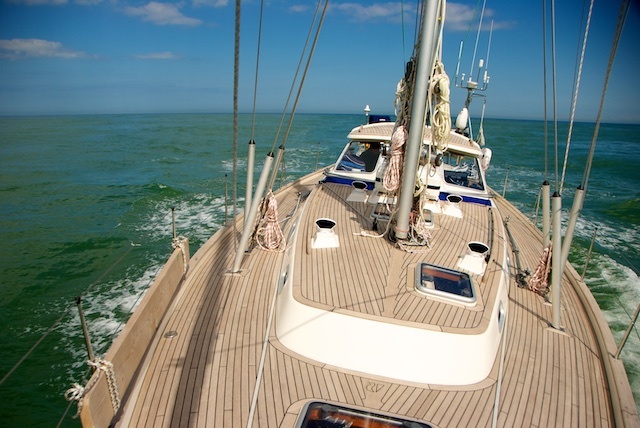 If you still feel uncertain, there is always the chance to opt for the Yachtmaster Coastal instead. You need to take your decision on the day of exam! 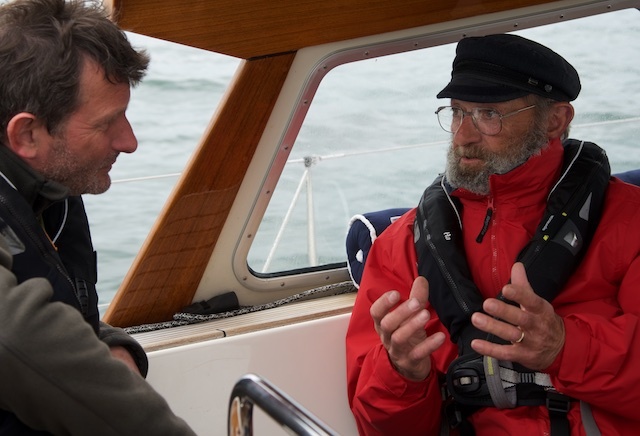 After all, it is your own responsibility to judge your own seamanship! 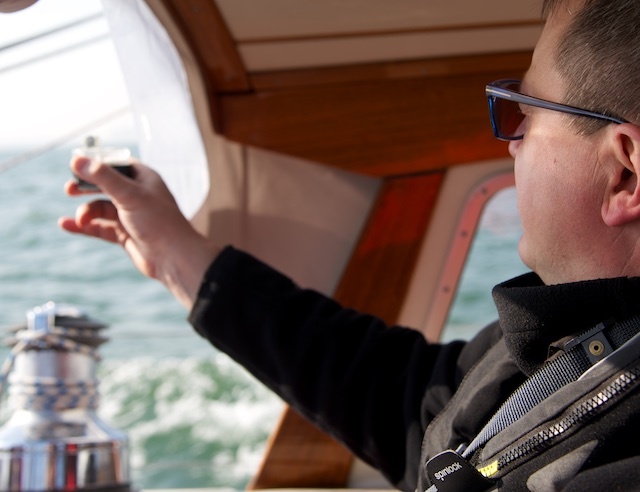 The examiner’s job is then to confirm your own judgment, whether you consider yourself as a Yachtmaster Coastal or a Yachtmaster Offshore. This is also part of a skipper’s responsibility: Not to overestimate your skills and knowledge, always remaining a careful skipper. On the exam’s day, the examiner comes onboard in the morning. At first some initial small talk breaks the ice to get rid of some of the excitement. 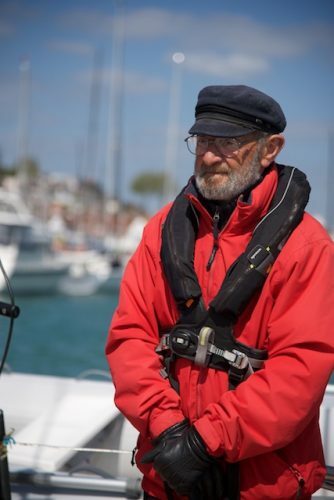 Allan is doing a great job to eliminate the nervous atmosphere onboard by explaining that he is just here to observe and to enjoy a day on the water, while the candidates have a chance to demonstrate their skills and knowledge. 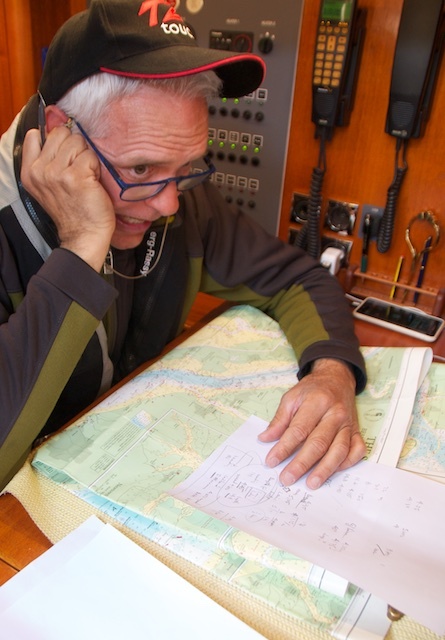 Allan stressing that he is very much looking forward to this day and is certain that he will enjoy a nice day at sea. 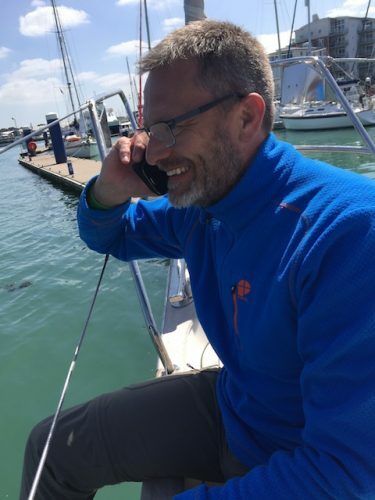 It doesn’t take long, until it gets serious: Allan starts checking the paperwork, such as the application, including a valid First Aid certificate, the necessary miles and the VHF certificate. Achim showing his paper to Allan, who checks them thoroughly. Michel is waiting for his turn in the background. Thereafter, it is time for the safety briefing, where each student has to present one part of the same, e.g. talking about life wests, the harness, fire safety, gas safety, flooding or any other part of the safety checklist you have onboard. 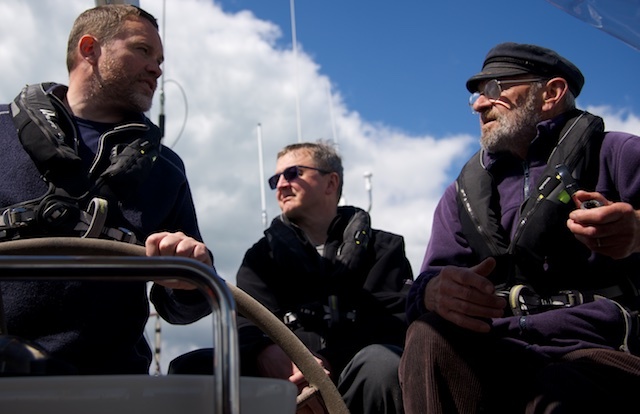 The examiner takes up subjects the students should talk about, which also could be topics around safety, engine, emergencies, weather, ColRegs or seamanship. 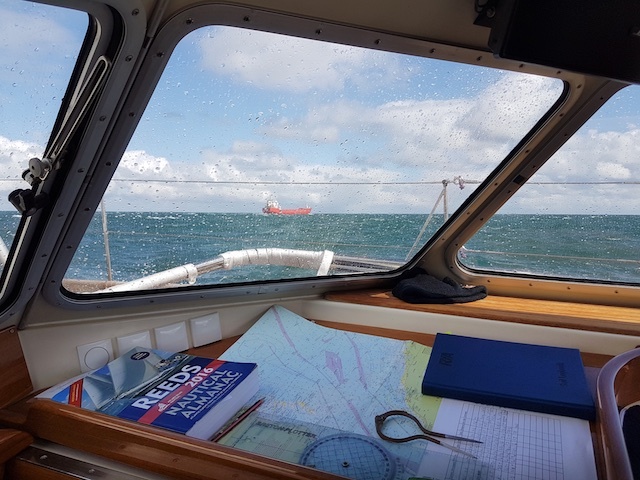 It quickly becomes obvious if a student is well prepared for the exam and hence it is good to have had two full weeks onboard Regina Laska where we covered all the requested subjects. 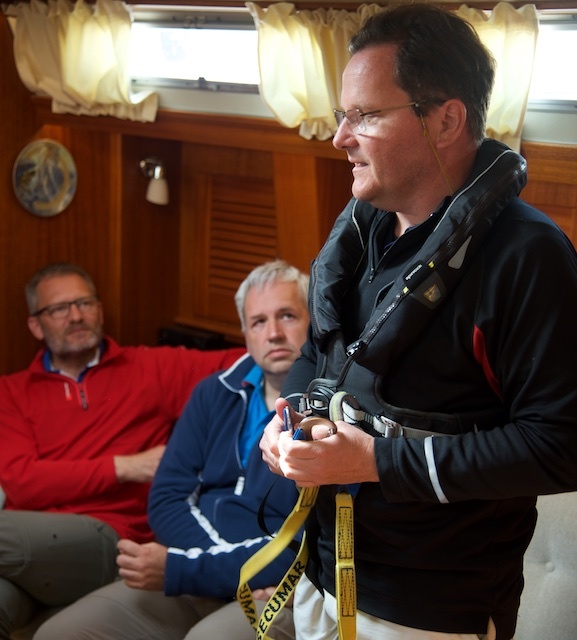 Michel explaining how, when and why to use a harness. Jos and Michel are listening carefully. Soon it will be their turn to talk about another safety subject. When it is confirmed that weather and the boat are in good order, it is time to get on the water for some practical exercises. 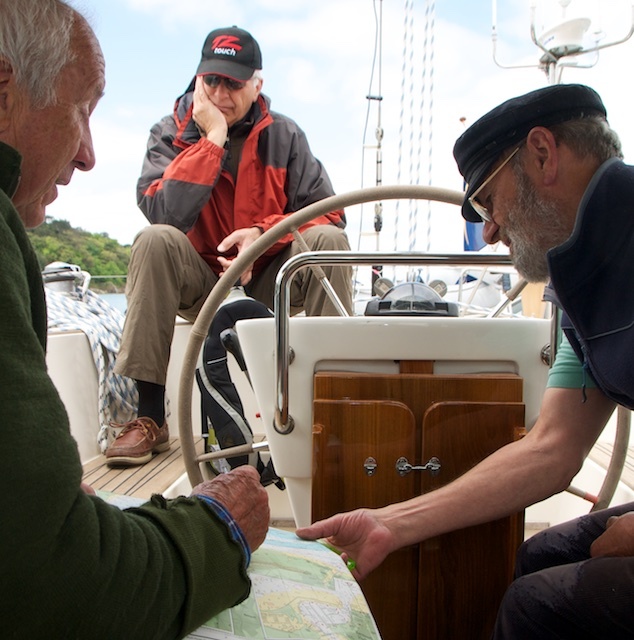 Getting the instructions for the navigation exercise by examiner Allan. All navigation has to be done classically without a plotter or radar. The examiner steps back and becomes a pure observer. Allan stands on aft deck, enjoying how the candidates take control and organise the vessel to depart from the dock in Cowes. The biggest issue I see is that students “overdo” it while being examined. They start to blind navigate or calculating the hight of tide by the centimeter. After all, the examiner just wants to judge you as a skipper and your seamanship, so you should just act as you usually do. Each student gets his or her turn to act as skipper, while the rest of the students act crew – a roll that is not as easy as it sounds! 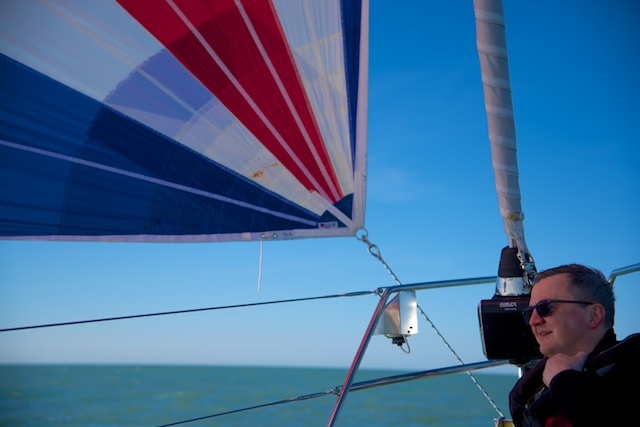 As a crew, you are not allowed to give instructions to the skipper, which often happens, since all students often are used to skipper boats. 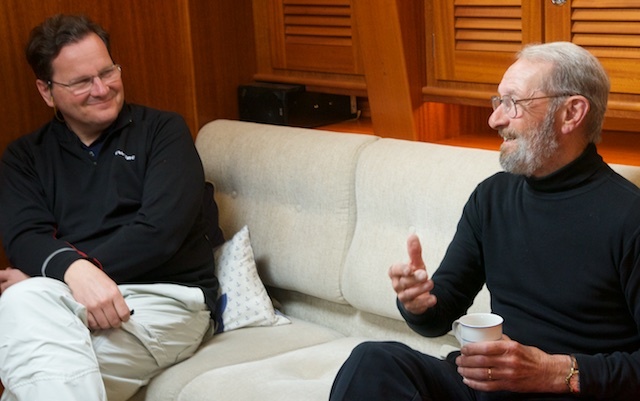 Instead, as a “crew” you shall just inform the “skipper” about circumstances and then, the skipper decides what to do. The good news is that the atmosphere is generally very relaxed and pleasant, although one can clearly feel the seriously that all candidates put into their exams. 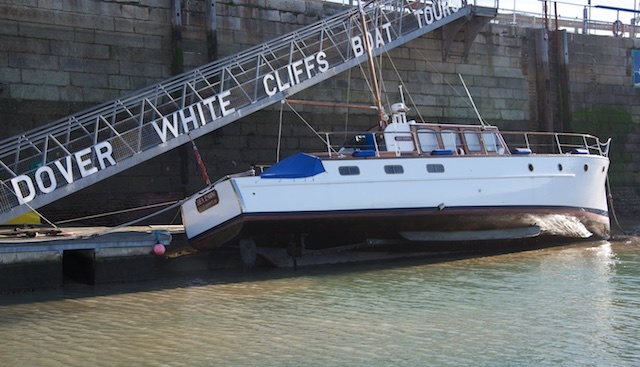 We do have breaks, such as for lunch an tea, after having performed an anchoring demonstration or grabbed a buoy for lunch in these tidal waters. After lunch, the examiner takes the opportunity to ask some more theory questions, such as about weather. Achim explaining frontal systems for he examiner Allan. During the exam it is also presented what we have been practicing during the last two weeks, namely to communicate to the crew in a direct, clear and yet polite and friendly way. 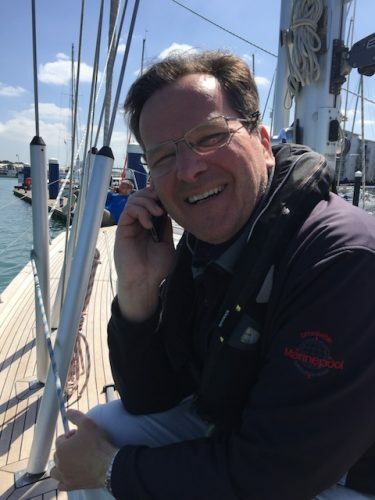 Skipper communication is actually what I see is lacking quite a lot, even (or maybe especially) for very experienced skippers, who are used to be understood or often just sail alone or with crew they know. 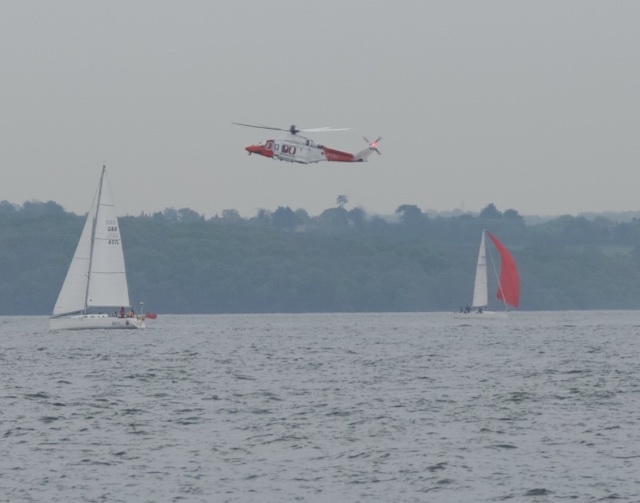 During one exam we were lucky enough to follow a helicopter rescue training on a neighbouring sailing boat. 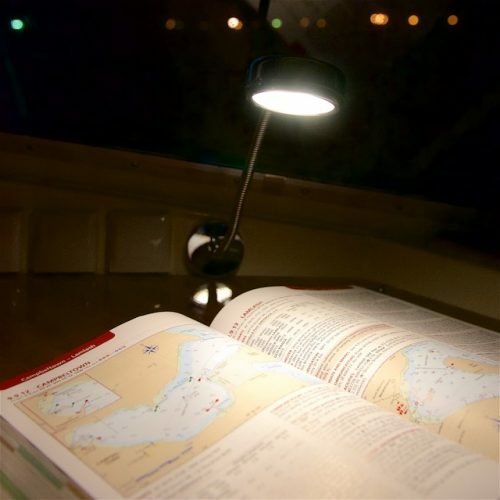 A special night sailing exercise is also part of the exam, where navigation in complete darkness is performed by using traditional navigation only. 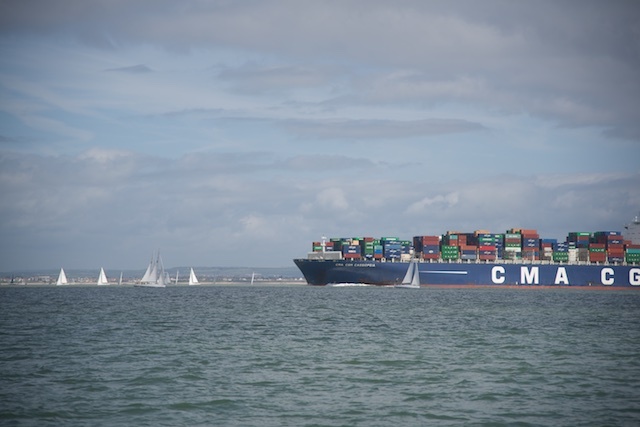 Sometimes, the path is crossed by one of the many ships sailing in and out of Southampton. I should not forget to mention that many of the students connect for a life-long friendship during the two weeks course and continue to meet up long after the course. 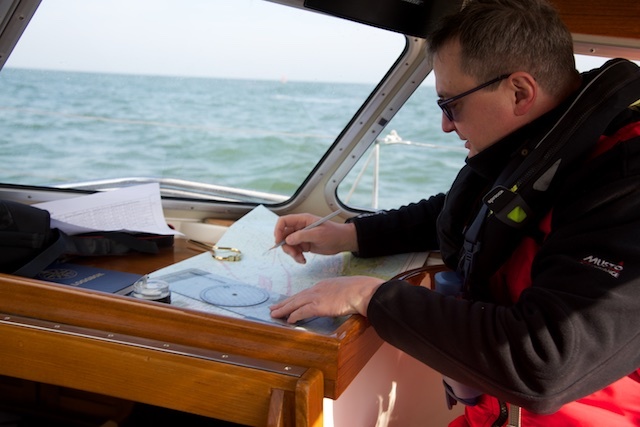 Each student gets his or her turn to prove the skill of traditional navigation, harbour manoeuvres, emergency drills, blind navigation, night navigation etc until late at night. 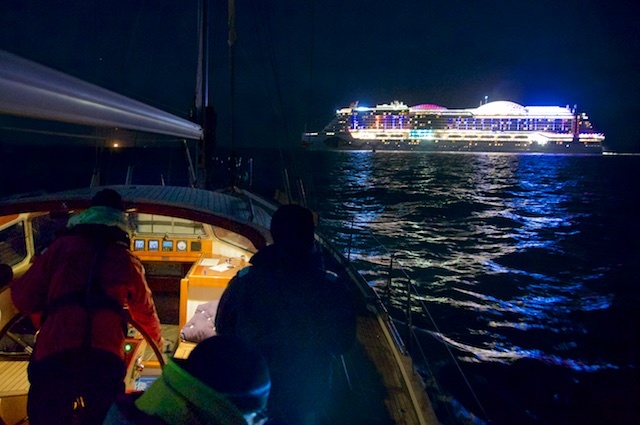 Typically, we don’t get into port before midnight. The exam continues the following day early in the morning with more practical and theory, including the presentation of the passage plan, where the examiner can ask any questions on the chart, about the students decision why to cast of at what time and how he or she was thinking when making one or the other tidal triangle. The symbols on the chart play an equally important roll as the rules valid in a Traffic Separation Zone. Allan asking for the day shape used for an anchored vessel to Kurt. But don’t worry. The examiner will explain each and every exercise in detail and you may ask until you have fully understood your task. The examiner Allan explaining what is expected from the candidates. In the night of the second day, the students are really exhausted when they are being debriefed one by one by the examiner. During the exam days the examiner’s face looked as if he was playing poker and now the the time of truth: the results are discussed in detail with the individual student in the debrief. 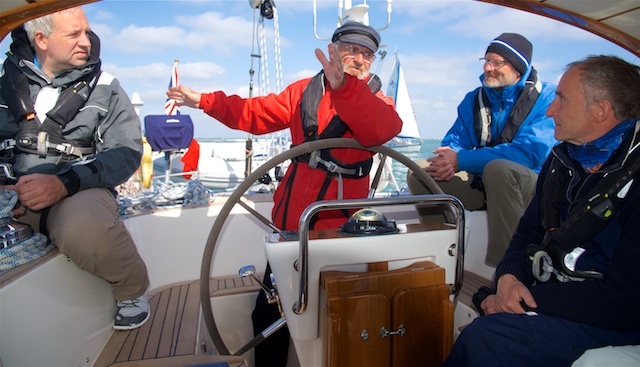 It is fun to see how the relieved students cheer up as if they were just taking their A-level, hugging each other and calling each other with their new titles after having passed: Yachtmaster! 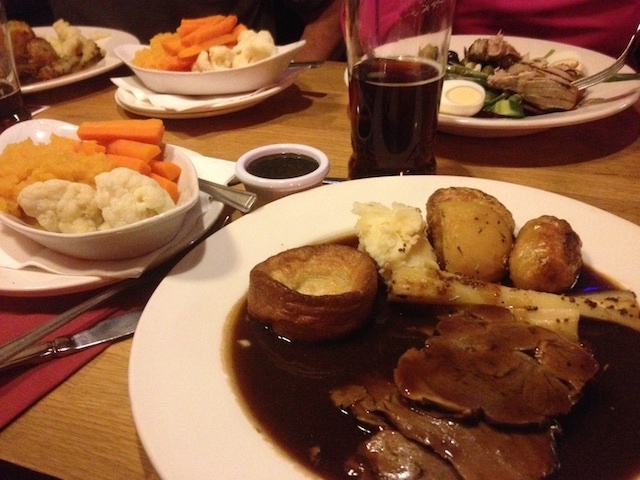 The day ends with a great meal in a pub celebrating! 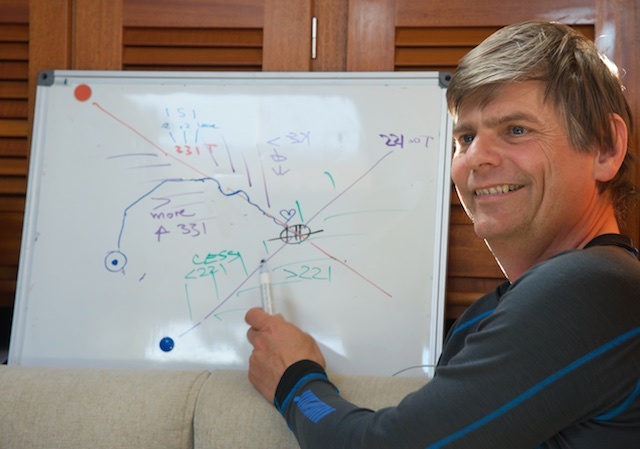 After all, the Yachtmaster feels like a PhD getting your Doctor-title. Just like your PhD might not be that very essential for your professional life, but for sure, it is a a great achievement proving your knowledge and skills! 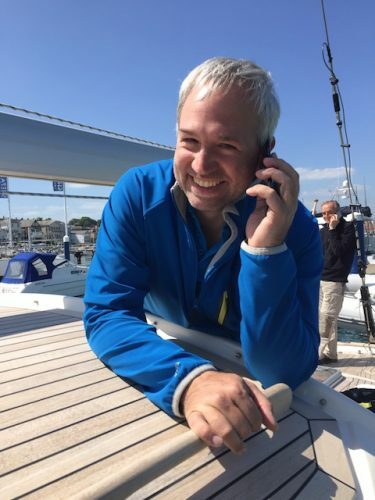 Congratulations to all Yachtmasters! And it doesn’t take long, until all the spouses know about the success as well. 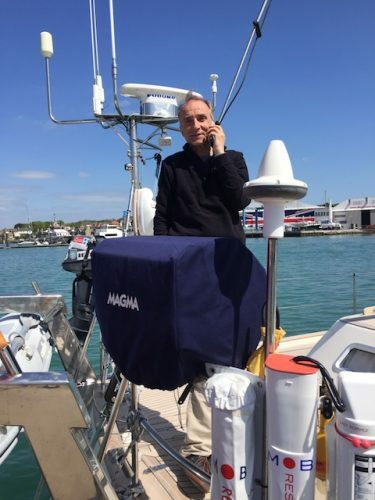 Typically, when coming back to the boat after having said good bye to the examiner, I find the new Yachtmasters scattered around the deck simultaneously calling their wives (or husbands); one on foredeck, one on aft deck, one to starboard and one to port. 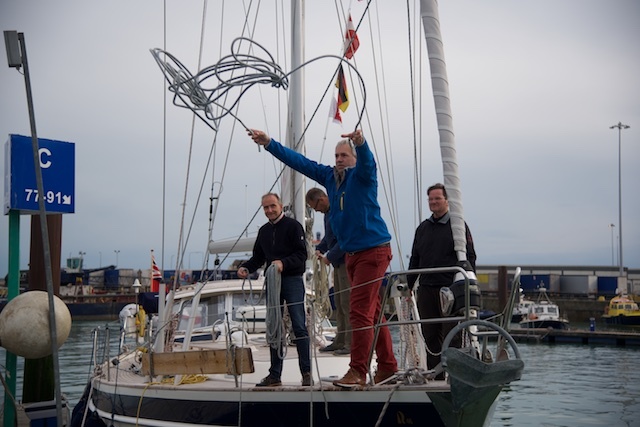 The proud Yachtmasters couldn’t wait to pass on the great news that they have now become Yachtmasters! 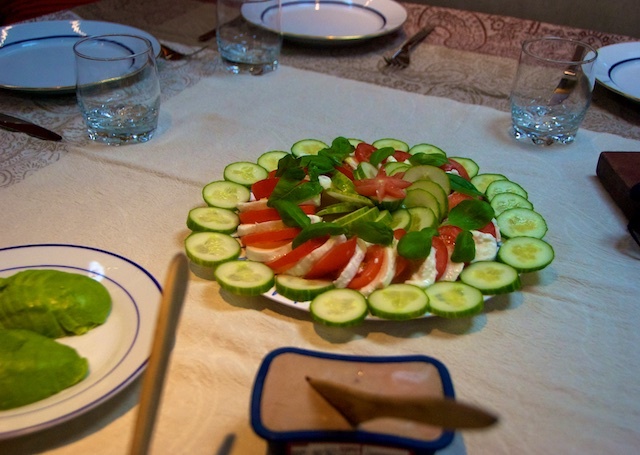 And yes: I can reveal the secret that, so far, I have always been able to celebrate with my students since I am glad to say that all have passed my courses! A big relief! We passed!